I am so excited to give my daughter a Loog guitar this Christmas! 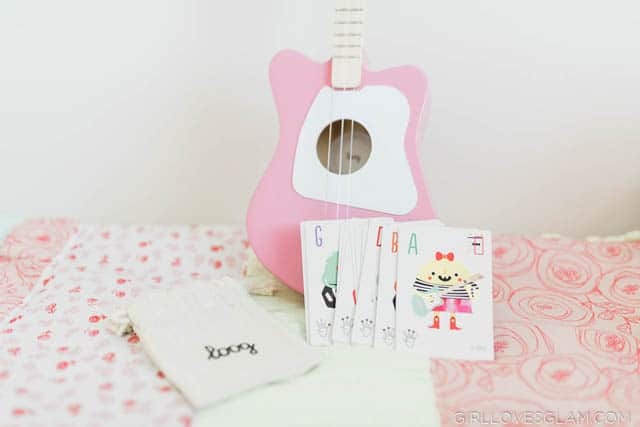 It is a guitar with three strings, so it is easier for beginners to play. They are made in smaller sizes for little hands, but they sound like a guitar, not a ukulele. They come with flashcards to help teach musical notes and there is an app that can teach how to play actual songs! 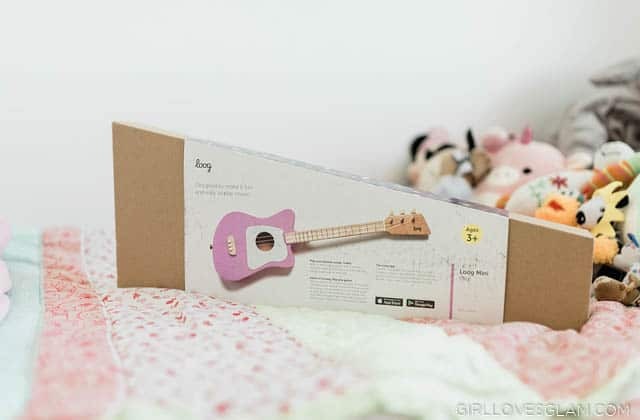 When I was first introduced to Loog guitars, I instantly knew that this was what we needed to give my daughter this Christmas. I showed my daughter the website, we watched some videos about the guitars, and it sky-rocked to the top of of her Christmas list. 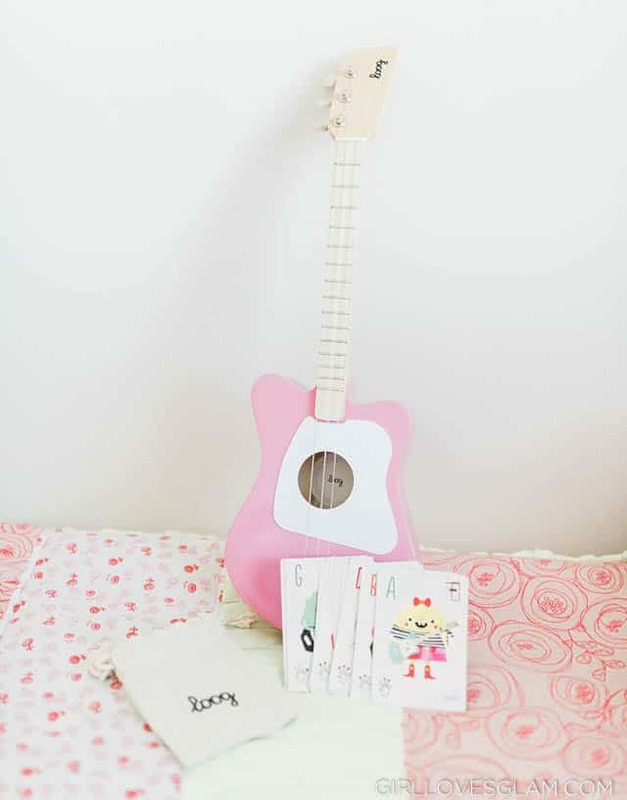 We got the Loog Mini that is made for ages 3+. There is also a Loog Pro Acoustic and a Loog Pro Electric that are made for ages 8+. Art supplies and craft kits are fun but they always seem to get messy and then eventually forgotten. And let’s be honest, there are only so many crayons you can give one creative kid. That is why I love the idea of giving a Loog guitar. Not only is it going to let my daughter continue to enjoy being creative, but it is going to teach her a skill that she could possibly want to continue for her lifetime. I can’t wait to hear what she learns! 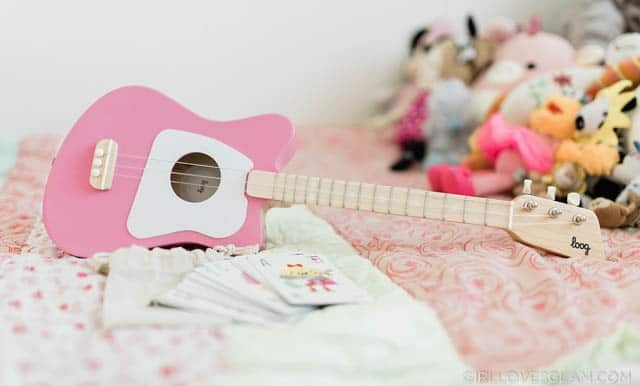 If you need a create gift idea for the creative child in your life, you should definitely consider Loog Guitars!